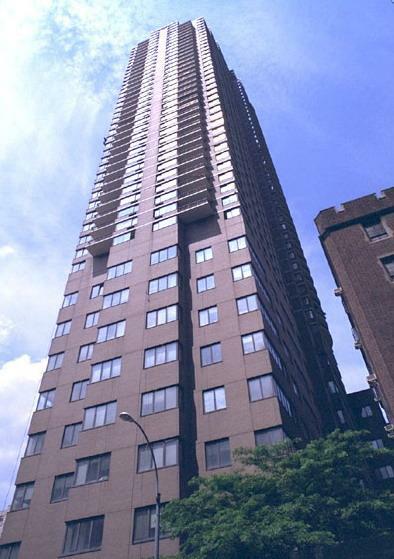 The Upper West Side's South Park Tower apartment building has a health club and pool, doorman, concierge, bicycle room, storage room, garage, video security, sundeck and valet service. There are six to 13 apartments per floor, plus a handsome lobby and entrance. This modern skyscraper is distinguished by its corner windows and columns of curved balconies. While there has been substantial new development in this building's immediate vicinity, much of it has been undertaken by the same developer, meaning South Park Tower's unbeatable views have been preserved. Amid tree-lined streets and landmark buildings, an eclectic mix of restaurants and outdoor cafes invite you to linger, museums and galleries enliven your imagination and Lincoln Center, the Beacon Theater and other nearby venues offer endless entertainment options. For some rest and relaxation, you can't beat the city's legendary urban oasis, Central Park, just steps away. Lincoln Center, the Museum of Natural History and the Rose Center for Earth and Space... easy access to hospitals and all public transportation... minutes to Broadway and Times Square, Fifth Avenue shops and museums, and Midtown... How can you beat this location? Many of the apartments facing east have vistas down Central Park South through the two towers of the Time Warner Center. The center has improved the ambiance and popularity of this area, and it has a major Whole Foods store in its basement. South Park Tower boasts not only location and extraordinary views, but amenities like the roof deck, garage, fitness center with pool. I would like information on apartments in South Park Tower. Please contact me ASAP.